A woman came up to me on the platform while I was waiting for a train into the city. I was reading Mr Mercedes by Stephen King and she started asking questions about it. She seemed a bit needy for conversation but not raving. We went from books to the media and how popular culture messes with our brains. “You know,” she said, “I thought Fargo was a real story. That’s how manipulative the media is.” I really should have paid more attention to that statement. “And the music,” she continues. “You know, I took my husband to see the Thomas Crowne Affair, when we first met. The music in that movie manipulated me. I think I fell in love with my husband because the music in the film made me.” The marriage, she says, was a terrible idea. I absolutely agreed with her contention that music in popular culture was manipulative. After all, I’m a Media teacher. I was putting together a verbal thesis in my head to hold court, when the train arrived and we headed into the same carriage (I couldn’t think of a reason not to). On the train, she showed me News in Two Minutes, a YouTube daily presenting important news stories in two minutes. I had been deciding whether to move to a different carriage with some flimsy excuse (there’s a blog in itself) until she mentioned this. At this point, I figured it was interesting enough to check it out. I thought I might be able to use it on my radio show when the news program crashed (which it does on a very regular basis). The big story was an outbreak of Ebola in Africa and she was worried because refugees from Africa were seen in Italy with blood coming out of their eyes. They were taken to hospital, released into the public and later the hospital was locked down. While she talked, I googled. Here’s a link to the Ebola scare on the WHO website. I wasn’t really reading what I found, but I was finding it all quite compelling. I hadn’t quite put everything together yet, although I was looking at the pictures accompanying the news and wondering whether the sources had been verified. I was shocked. Ebola! An outbreak! I added to my collection of bookmarked sites so that I could check it out later (which is now). She noticed me bookmarking and googling and luckily didn’t find it rude of me. Ah, I thought, and was instantly less worried about the Ebola outbreak. My conspiratorial fellow traveller had predicted an earthquake in Lilydale the day before it happened. She didn’t explain how that fitted into the conspiracy network, but I think it’s to do with HAARP. I was relieved when she left the train three stops later. Sooner or later she would have realised that I didn’t share the crazy and then Bob knows what would have happened. But now I have a stack of new conspiracy resources to look at. Let’s take a look at some of the sites I scribbled down as she chatted to me. I thought I’d already mentioned this in Finding Damo, but I couldn’t find it. Project HAARP = High-frequency Active Auroral Research. It allows the government (yeah, as if it’s really run by the government) to control the weather. It is a technology that allows the user to control people’s minds. It could very well destroy the ozone layer. And it can radiate people to death. 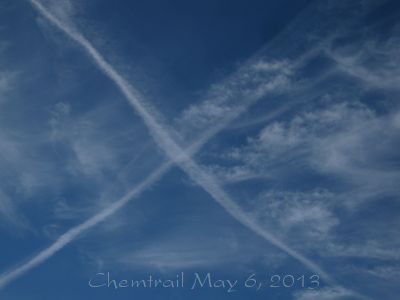 Here is the chemtrail thing. Apparently there is a trend to seed clouds with heavy particulates. Which would make sense if you were about to zap them with ELF waves. So every time you see an unusual cloud, you’re probably looking at a HAARP transmission. If you want some good hearty conspiracy for breakfast, Alex Jones is your man. He’s a radio presenter in the States, and he has his finger on the pulse of everything conspiracy. He has a podcast, which is well worth checking out. INFOWARS! The latest episode starts with the upcoming revolution coming July 4th. “Will it be a peaceful or a violent revolution?” Only you can tell. Listen now! More info from Forbes, where I got the accompanying picture. I lumped these two in together, because apparently they both deal with population limitation. Let’s have a look. From their website and most reputable websites, they seem like a think tank, a theoretical group coming up with ideas to make the globe sustainable. It is only when you scratch beneath the surface (i.e. check out the conspiracy websites) that you find the sinister underpinnings to their organisation. According to excerpts from the Modern History Project, one of the stated goals of the Club of Rome is to radically reduce Earth’s population, by strategic wars, manufactured diseases, famines in third world countries and genocide. 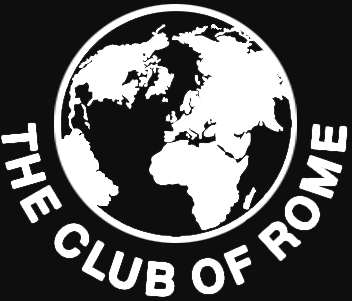 The US branch of the Club of Rome was apparently responsible for the last three wars, and the MHP attribute the AIDS epidemic to the Club of Rome as well. NATO is basically run by the Club of Rome, as is the United Nations, according to these sites. I tell you, if any of these conspiracies are actually true, we are in some serious trouble. In a similar vein are the Georgia Guidestones. If the guidestones are actually meant to be for a post-apocalyptic society, then this precept isn’t such a big deal. It becomes an issue when current groups try to figure out how to get the planet’s population from 6 billion down to 500 million. What happens when someone figures out the answer and acts upon it? There are a lot of nutters out there. Mostly Harmless, as the HitchHiker’s Guide states, but all it takes is one evil genius looking at the wrong website and we’re in a pile of poo. Keep an ear to the ground, people. Look for the signs. 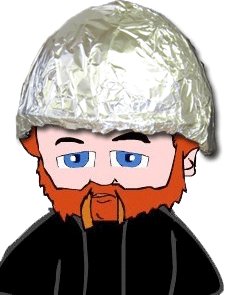 Wear the tinfoil hat to protect yourself from mind-control and hope against hope that with all these conspiracies, we don’t end up adding alien civilisations into the mix.